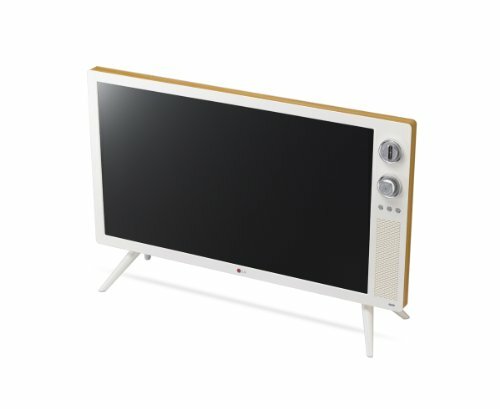 This tv came out a few years ago and is somewhat hard to find. It’s a retro styled 14 inch set with rabbit ears, chrome legs and functional knobs. You can even switch between full-color and black-and-white mode. 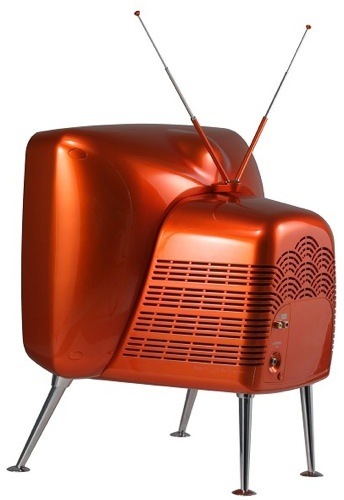 It uses a cathode ray tube like older television sets and features a glossy orange finish. There may be a few other colors available as well. The LG Serie 1 has a 4:3 aspect ratio. 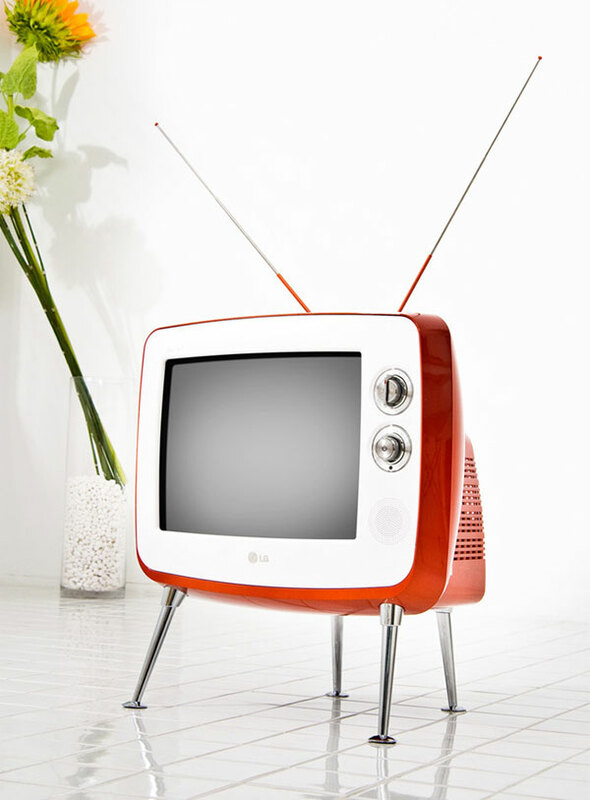 Luckily, The LG Serie 1 Retro Classic TV is equipped with a digital tuner, composite video input, and wireless remote. 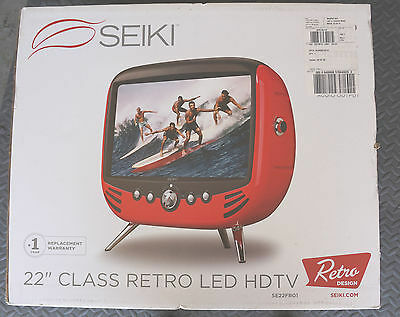 This is basically a modern flat television which operates the same as other current;y made models internally and functionally, but it incorporates a retro design as far as knobs and dials. Really a beautiful looking retro set. This one is by Seiki. 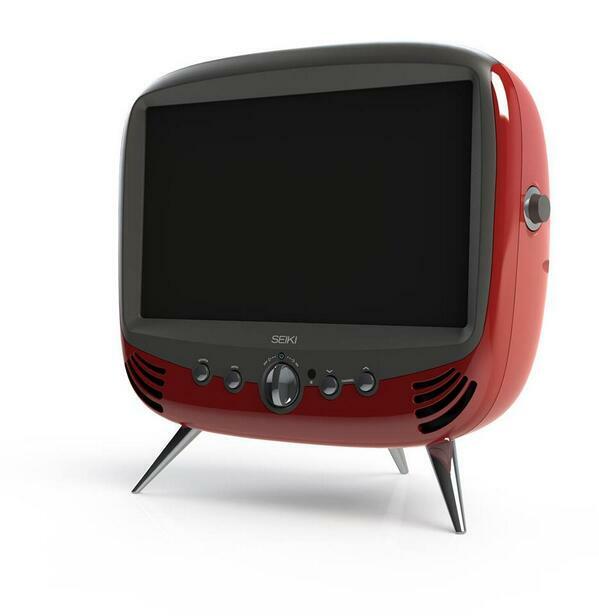 It kind of looks more like an early 90s style television than a 60s or 70s portable, but that’s my opinion. Still very cool, and reviews indicate the sound on this is incredible and some have been using the tv as a sound monitor.